The main challenges during global software development projects are related to the lack of face-to-face communication and the need of people feeling comfortable with the technology they use. 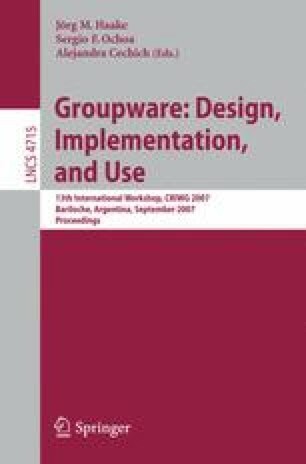 In this paper we introduce an approach that proposes a way of choosing the most suitable technology for a given group of people, taking advantage of information about stakeholders’ cognitive characteristics. As our research focuses on the importance of communication during the global requirements elicitation process, we present preliminary results of two surveys that analyze stakeholders’ preferences in such environments.